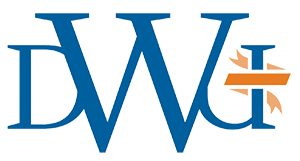 Dakota Wesleyan University, transformed by a recently-completed, successful capital campaign into a 17-building campus with state-of-the-art science, wellness and theatre facilities, has become the 45th United Methodist-affiliated college to participate in SAGE Tuition Rewards. Founded in 1885 and located in Mitchell, South Dakota, DWU offers more than 40 majors and minors, plus four pre-professional programs, to a socio-economically diverse enrollment of more than 900 students. A DWU education is rooted in four values: lifelong learning, leadership development, faith exploration and genuine service to others. A student-to-faculty ratio of 13:1 allows for close faculty interaction and development of individual student strengths that align with optimal career opportunities. DWU’s digital media and design department recently finalized murals for the region’s leading tourist attraction, the world-famous Corn Palace. Dedicated in 2006, The George and Eleanor McGovern Library and Center for Leadership and Public Service seeks to prepare Dakota Wesleyan's best students for future leadership and careers in public service through an annual conference, seminars, research and internships. It’s associated with the DWU Tiger public opinion poll.